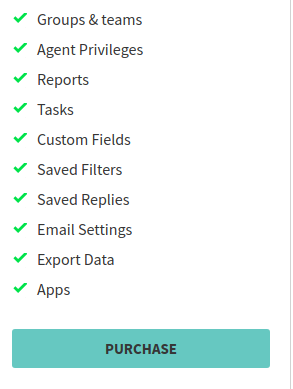 How can I upgrade my plan from Basic/Free Plan? 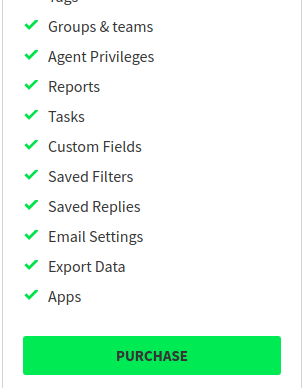 As the owner logins into the UVdesk Portal, it will get Plan Summary on the right-hand side. Click on the Upgrade Plan button and then it will be redirected to a new page. 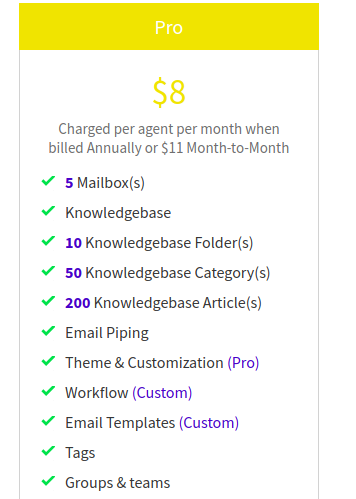 The owner will be redirected to a new page which has Pro & Enterprise plans, its features, and Purchase button. Tick on the Purchase button of the plan as per the need of the system. After clicking on Purchase button, it will be redirected to the Payment Information page. 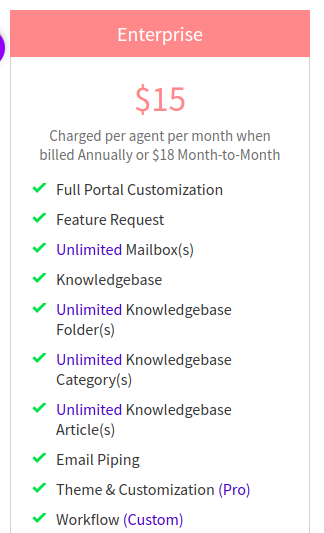 Enter the Billing Cycle, Agents, TIN and Billing Address and then click on the Purchase button. Now, the owner will be redirected to the payment gateway page after clicking on the Purchase button. 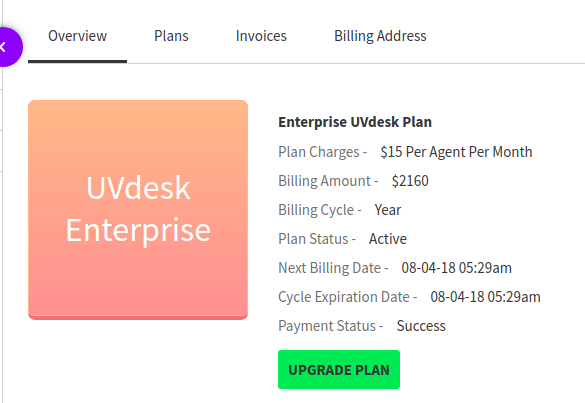 Make the payment and then enjoy the services of UVdesk.